Shop local with New Braunfels Feed and Supply for quality pet food from BLUE Buffalo. You’ll find BLUE Basics and BLUE Freedom at our location. Find everything you need to raise a healthy happy pet in our huge pet department at New Braunfels Feed & Supply. Shop our toys, collars, leashes, pet meds, food, houses and much more! Our friendly staff can help you pick out the perfect pet food today. For pets that show signs of being sensitive to some of the ingredients used in traditional pet foods, less may be more. 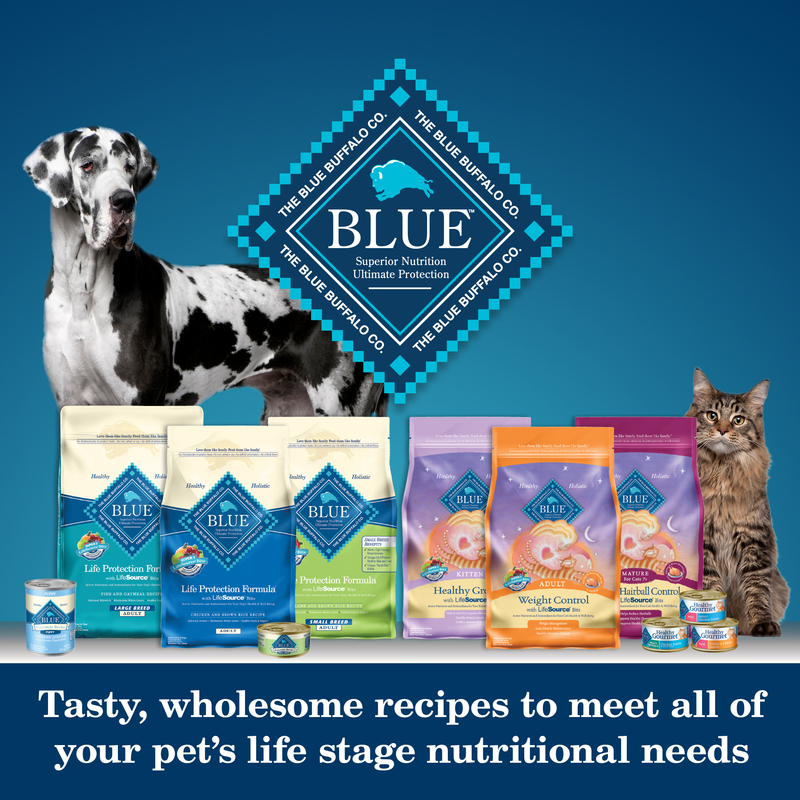 BLUE Basics is a healthy and holistic, limited-ingredient diet formulated to minimize food sensitivities while maximizing the nutritional value that your pet will receive. BLUE Basics is made without corn, wheat, dairy, soy or eggs and is available in several grain-free formulas. Some dogs or cats just don’t do well with grain-based foods. That’s why we created BLUE Freedom natural dry food for adult pets. BLUE Freedom contains no grains, so it has none of the glutens that can trigger allergic reactions in some pets. BLUE uses only the finest natural ingredients and NO chicken (or poultry) by-product meals. NO corn, wheat or soy, as they have been linked to allergic reactions in some pets. NO artificial flavors, colors, or preservatives. This entry was posted on Wednesday, March 8th, 2017 at 10:22 am	and is filed under News & Updates. You can follow any responses to this entry through the RSS 2.0 feed. Both comments and pings are currently closed.